How to Theme your Stock Android with Substratum Engine. Android is known best for its customization and the tweaks which are not found in any other Smartphone OS. You might be familiar with the theme engine available on CyanogenMod phones. But what about the stock Android phones. You don’t get any theme engine on your stock Android devices. Right? Today, I will be telling you one of the best Android Theme Engine called as Substratum theme engine available only for your stock Android phones. This theme engine has some pretty good themes. Some of the themes are working great. While some of the themes are only supported in Android 7.1. Now, if I am telling about stock Android then it means Android phones such as Nexus, Pixel, Motorola, and OnePlus devices are the phones which run stock Android, out of the box. These phones don’t have any Custom Skin and this makes them a pure stock Android device. Substratum only works with such devices. Just download Substratum & the theme from Play store. Apply the theme to patch your system’s UI files. These themes makes changes on your phone, keyboard, apps like WhatsApp, Instagram, play store and more. Now, most of the themes of CyanogenMod is available for Substratum but they are the paid ones. 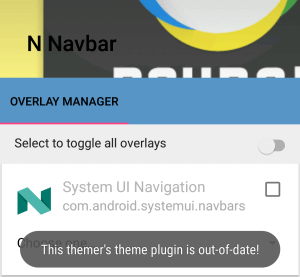 You need to download those paid themes from play store if you will sideload those themes then there are chances that you end up with a bootloop. The Substratum Theme Engine is only working in Android 6.0 and ahead in a rooted android phone. Most of the themes are having some issues make sure that you download proper theme which having your Android version support. Make sure that you having the AOSP ROM you can try Pure Nexus and AOSP ROM on your phone using the XDA forums. Most of the developers are adopting the Substratum and it will be one of the most popular theme engine for your stock device in the coming time. Now, the question rises about how to use it? It is safe? I will be telling this in FAQ section. Why is this better than Layers? Active and consistent development based on upstream Sony code, as well as team code. Relying on the old system meant bringing up legacy code to newer versions of Android, even when we know the RRO2 system is being superseded already. Rooted Android device – How to root any Android device. Android Marshmallow 6.0 & above. Step 1. Download and install Substratum Theme Engine in your Android device. Step 2. Open the application and grant root permission for Substratum. Now, open play store and search for the theme by entering “Substratum Themes”. Step 3. Download any theme and open Substratum and that theme will be installed on your phone. Step 4. Tap on the theme and you’ll find an option as “Toggle Overlays”, turn it on. Step 5. Now, swipe down and click on Apply Now button and click on Install Selected and the theme will be installed on your phone. Step 6. That’s it, you have successfully installed a new Theme in your Android device. 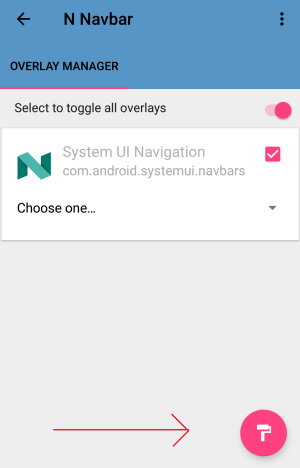 A) You might have installed the theme which is having bugs or not supported with your Android version. If the theme is not having 7.1 support then please don’t download those themes. Q: How to Revert Back to my stock Theme? 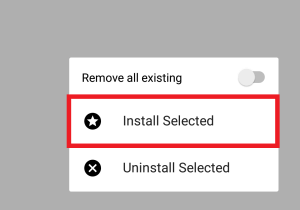 A) While applying theme you need to click on Uninstall Selected and the theme will be uninstalled from your phone. Q: Theme is showing License Verification Failed? 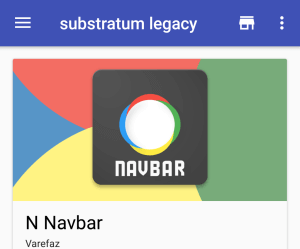 You can change the theme of your stock Android device with the help of this substratum theme engine. Don’t forget to read the F.A.Q section if you have any doubts. I hope you like this article. Make sure to visit again for more such guides. I will meet you in the next one. If you face any issues then please feel free to comment below.